We offer an extensive assortment of hose maintenance products including washing machine & dishwasher hoses and accessories, shower hoses and fittings, drain cleaning tools, thread sealing products, roof flashings and household products. 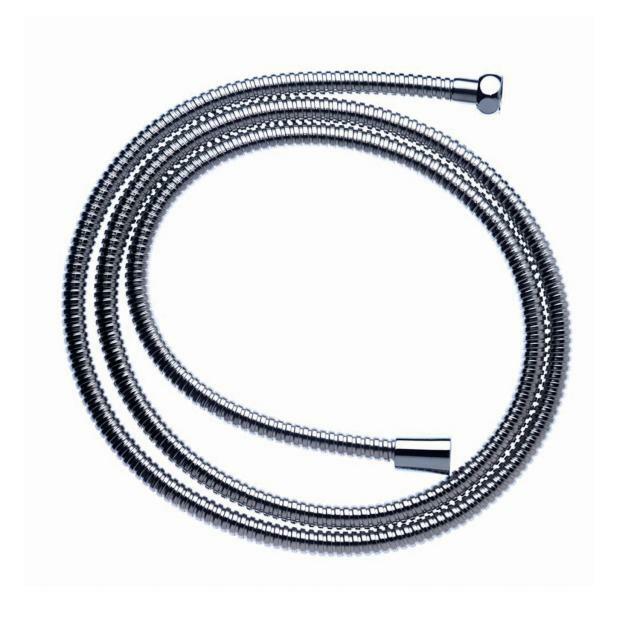 Our washing machine & dishwasher hoses are made in Italy with a 5 year product warranty and suit most major appliance brands including Samsung, Whirlpool, LG, Panasonic, Kelvinator, Bosch, Fisher & Paykel, Electrolux, Miele, IAG, Simpson, and Panasonic. Spare parts include a adaptors for multiple hose connection to a single tap outlet and also washing machine anti-vibration pads. Spare parts include a Y adaptor for multiple hose connection to a single tap outlet and also washing machine anti-vibration pads. 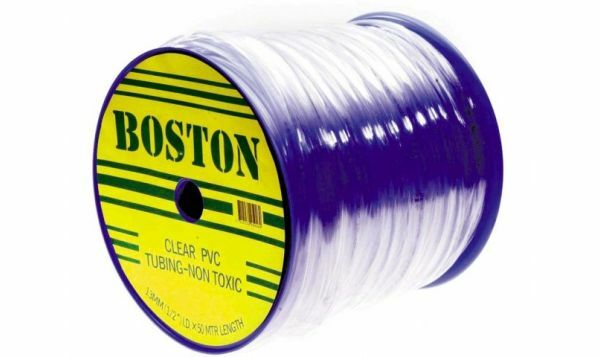 Our selection of quality hose and tubing is ideal for a variety of applications including drinking water, general purpose pressure hose designed for air and water and grey water tubing. 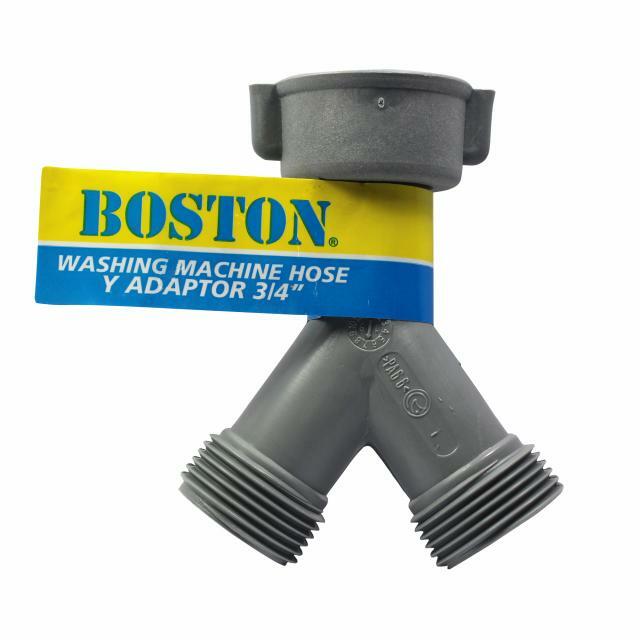 Our Boston flexible drain hoses has adjustable angles allowing for an easy connection to a variety of applications including vanity basins, pedestal basins, baths and spas, kitchen and laundry sinks. 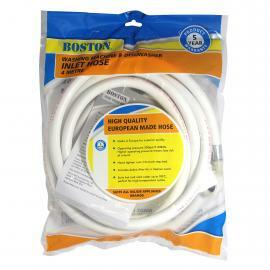 The hose range expands anywhere from 220mm to 760mm and is available in a number of sizes. 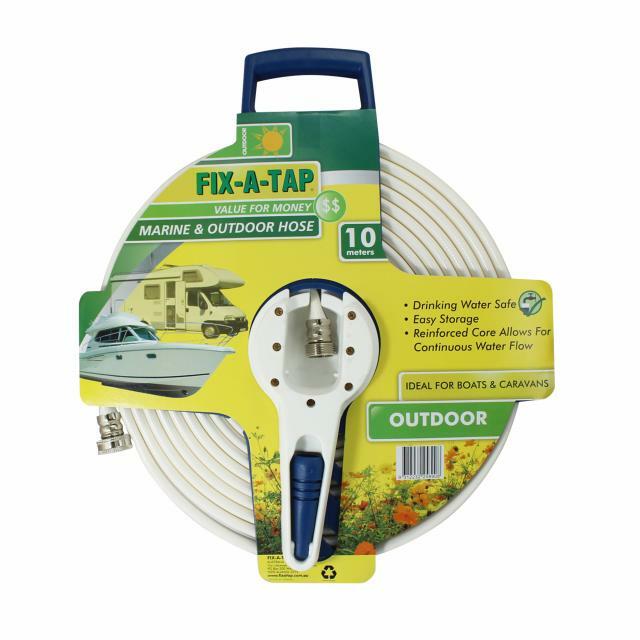 Our outdoor hoses consists of the Marine & outdoor hose. 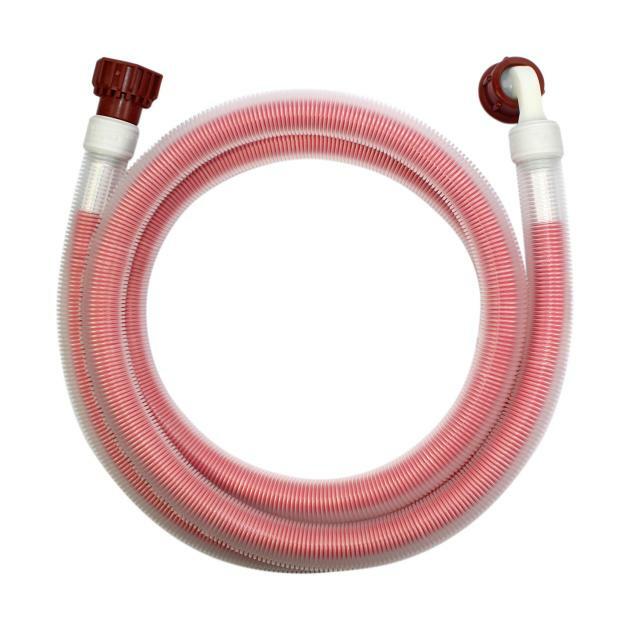 The hose has a reinforced core that allows for continuous water flow. 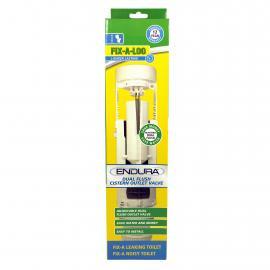 It is ideal for boats and caravans and is drinking water safe. 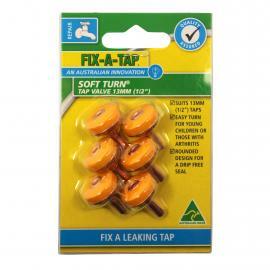 Also available is the adaptor kit that allows you to attach the marine hose to any garden tap. 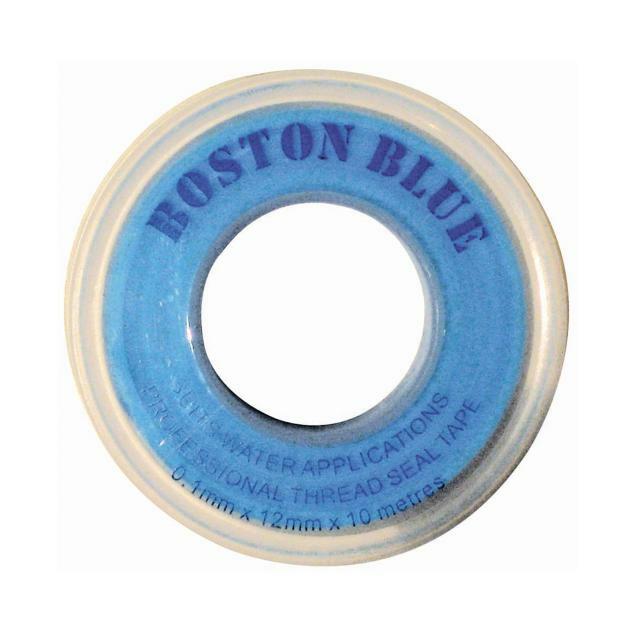 We have an extensive range of water thread sealing products including standard and high density pink tape or the award winning trade quality high density blue tape. 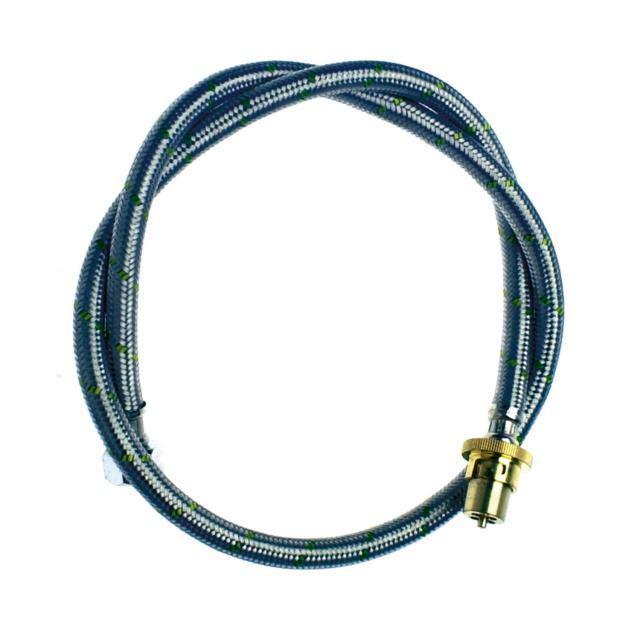 Our yellow gas tapes are all AGA Approved and can be used with all common gases and liquids. Our latest product is a high density grey thread sealing tape which conveniently seals both water and gas threads. 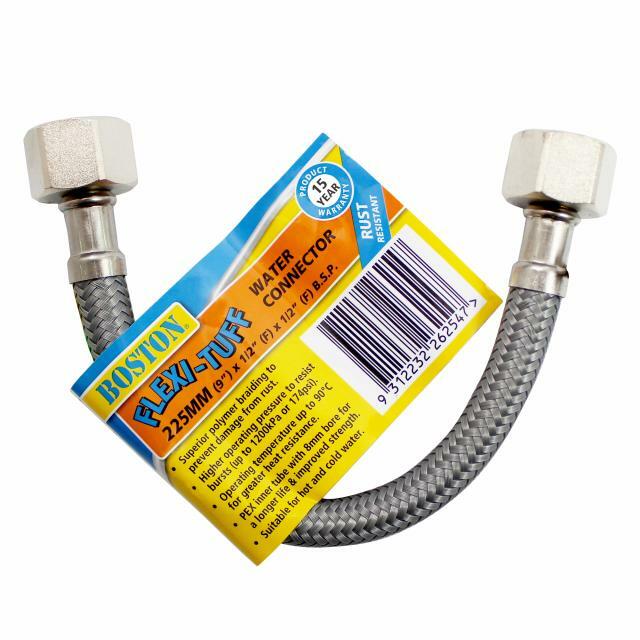 Our BOSTON water connectors are Watermarked to Australian standards suiting cisterns, bidets, vanities, basins, sinks, water filters, hot water heaters, spa baths and even coffee machines. 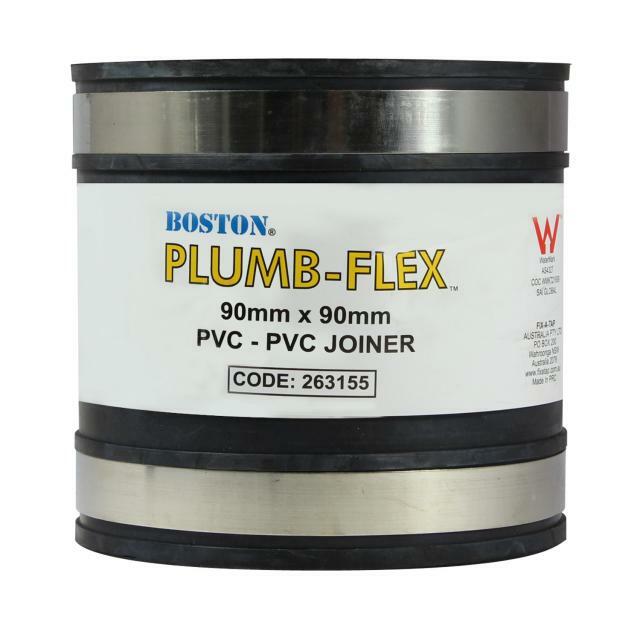 We also offer rubber connectors and joiners to fit Australian pipes and flexible roof flashings. We include a selection of gas connectors for all your gas applications including gas connectors with hex nut and inner spring. The quick connect bayonet gas connectors are also part of the range. Our gas connectors are AGA approved and are available in a variety of sizes. 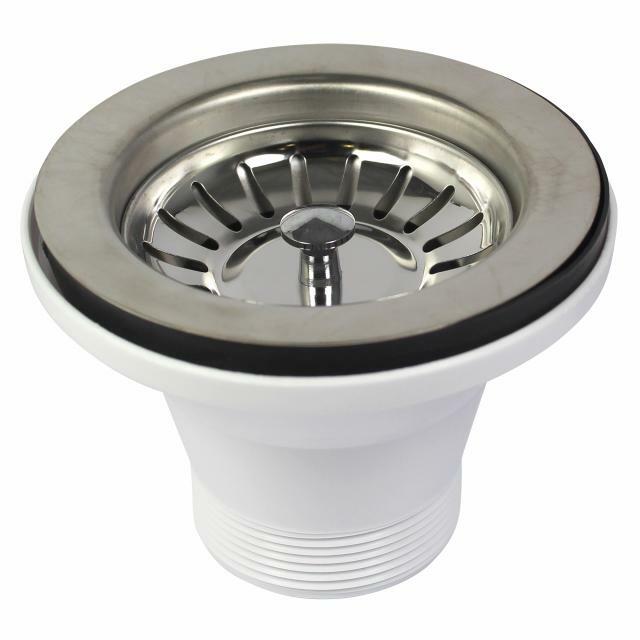 Our sink repair parts range consists of sink basket wastes, standard wastes, sink plugs and various other accessories that suit a variety of sink brands including Clarke, Franke, Abey, Oliveri, Blanco, Mizu, AFA sinks. Need a plug for your sink or basin? Look no further as we have over 30 plugs sized from 25mm to 60mm that suit caravans, sinks, baths, laundry tubs and more. 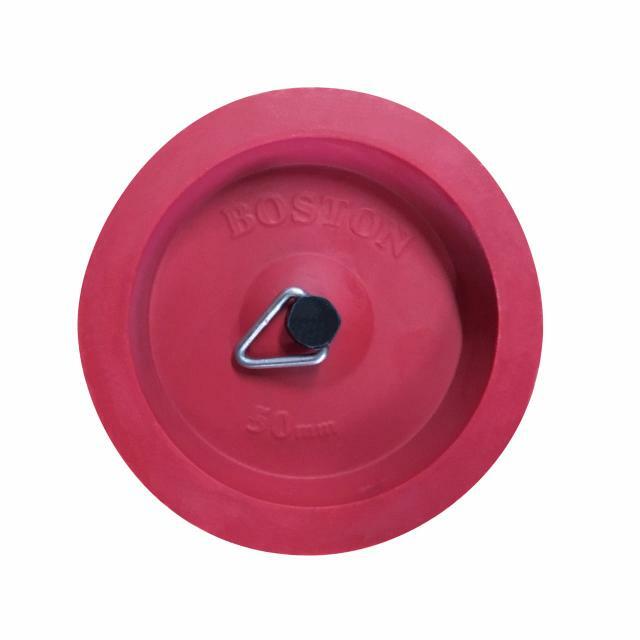 Our range consists of rubber and PVC plugs, brass/chrome plated plugs, waste disposal plugs and our Anti Scald plugs that help prevent babies and children from being burned from hot bath water. 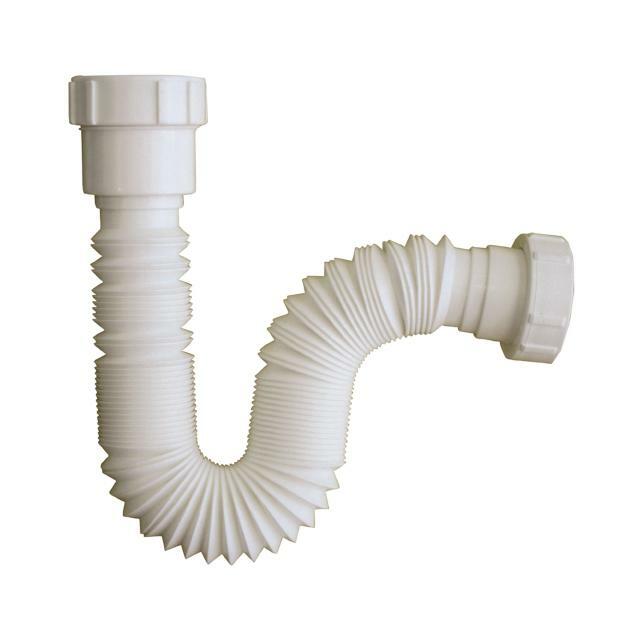 Our drain waste pipe connectors include Joiners and reducers that provide a water tight seal and can be used in both below and above ground applications. Our Roof flashings are available in EPDM and Silicone and are built for Australian urban conditions. Blocked drain in your home? Our drain cleaning tools are designed to easily remove blockages from your kitchen, laundry and vanity wastes. 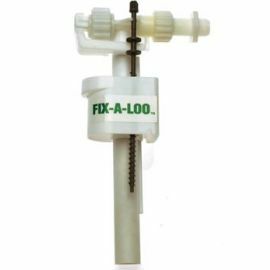 Our range consists of a variety of plungers, drain augers and pipe and sink cleaners. 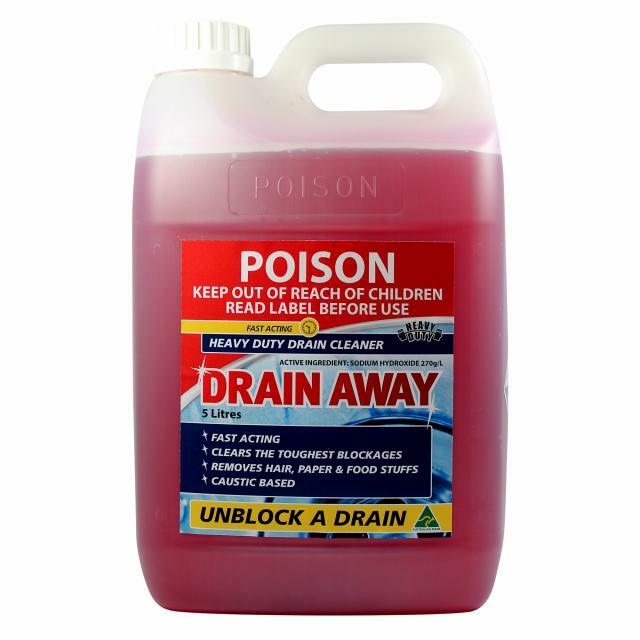 Also part of the range is the locally made Drain Away and Drain Refresh chemicals targeted at eliminating blockages and maintaining drains. 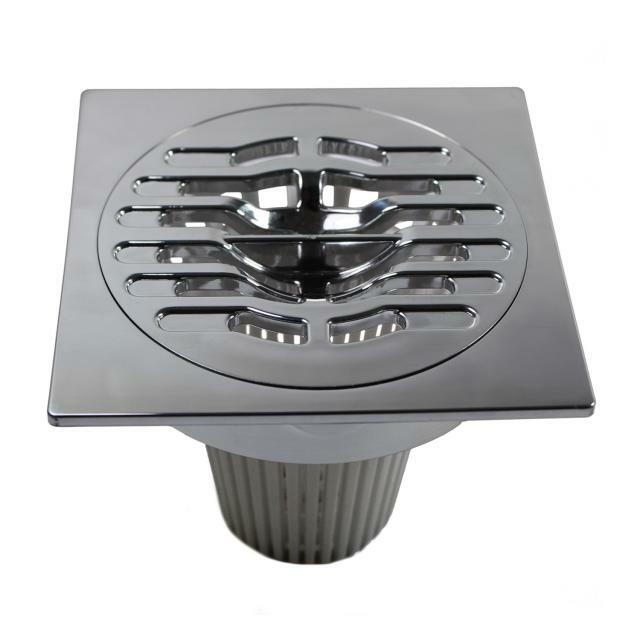 With clogging drains a constant household dilemma, the revolutionary Strain Away shower floor grate is the only waste outlet with an integrated basket strainer to keep hair from entering the waterways, preventing costly blocked drains. The unique design allows debris to be collected on the sides of the basket whilst still allowing a free flow of water.